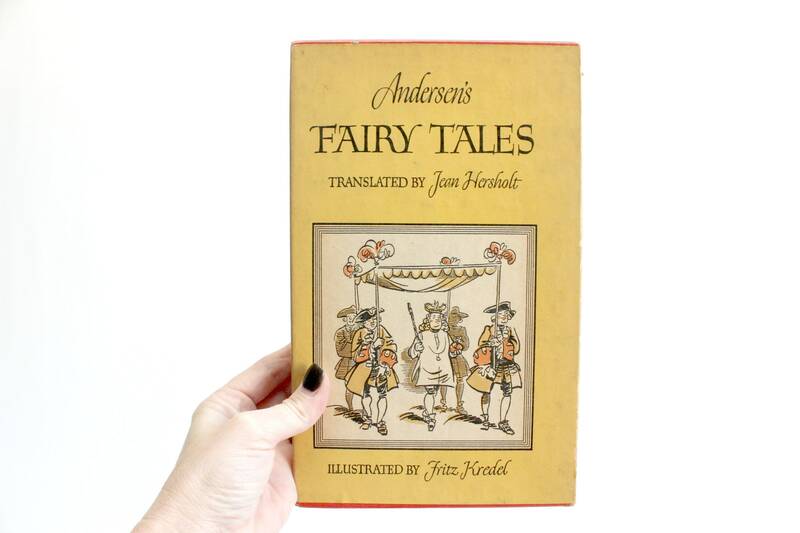 Vintage children's book. 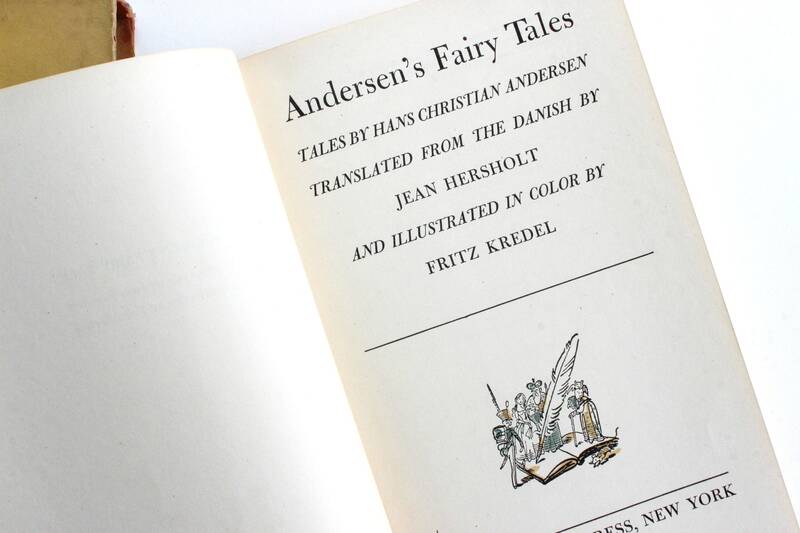 1942 edition of Hans Christian Andersen Fairy Tales. 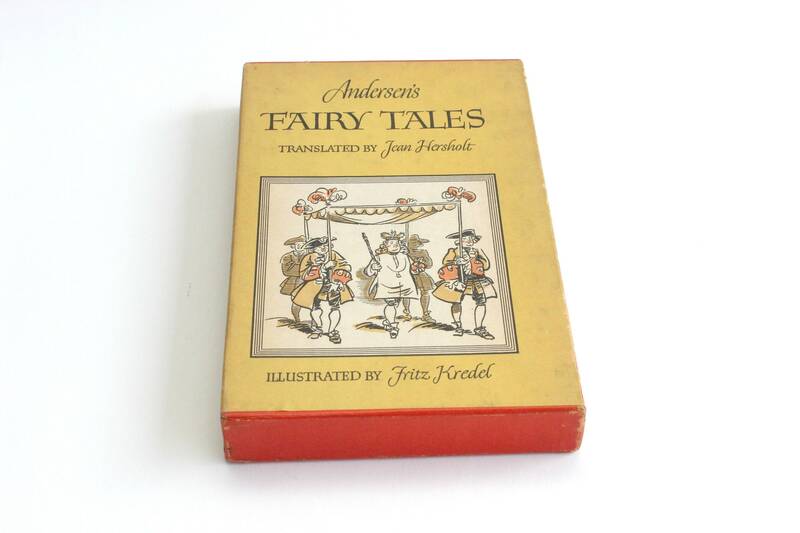 Translated by Jean Hershel and illustrated by Fritz Kredel. 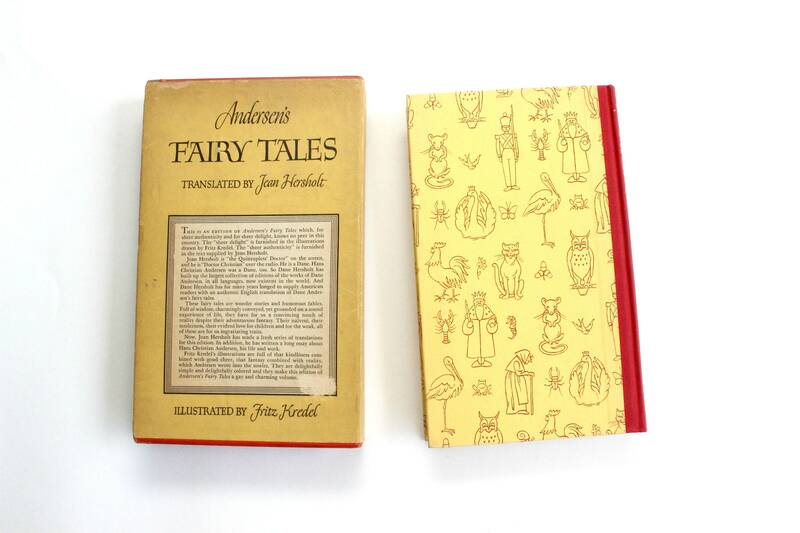 This is a hard cover book which also has an illustrated hardcover pocket. 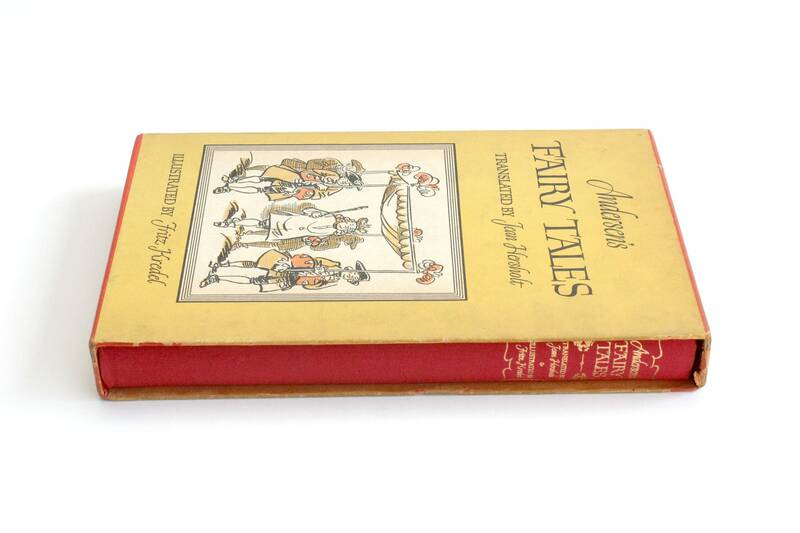 This book has 25 fairy tales including, "The Princess and the Pea," "The Little Mermaid," and "The Emperors New Clothes." 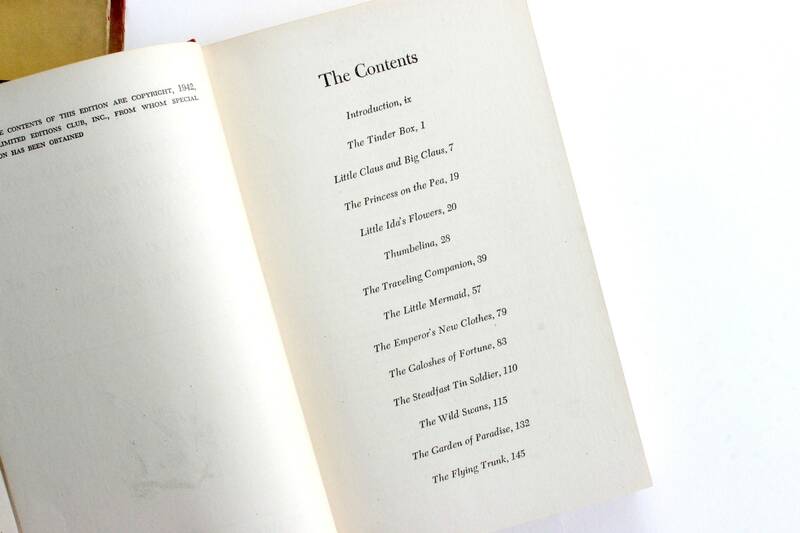 The outer cover has great art and graphics! Very good vintage/used condition. Some light wear and tear consistent with age on the outer cover. 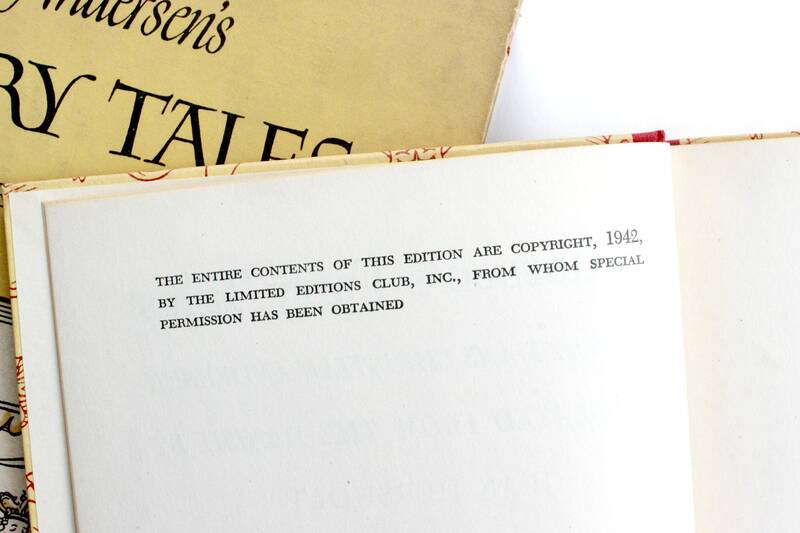 No torn or missing pages. 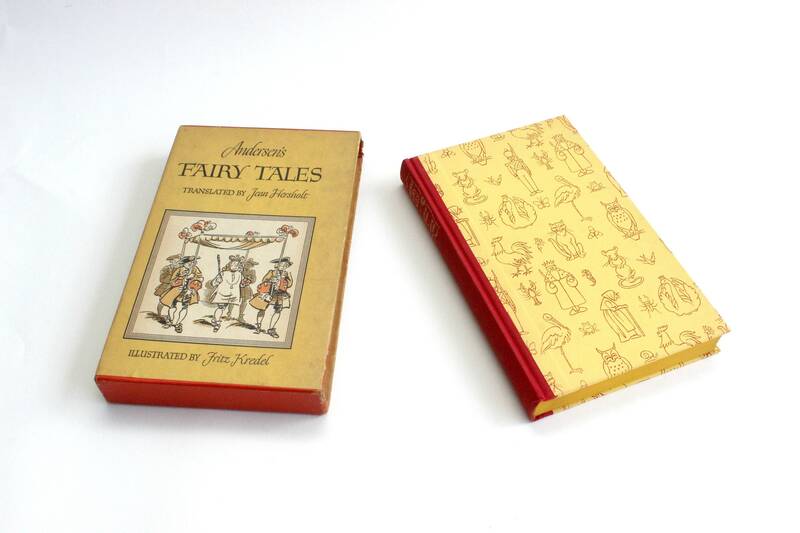 Book measures 6 inches wide, 9.5 inches tall and 1.25 inches in thickness.